The Short Humour Site was created by Brian Huggett and launched in 2006. The Site is edited by Brian with the support of like-minded friends and relatives. The purpose of the Short Humour Site is to publish any type of humorous writing of around 500 words. There are currentlypieces of Short Humour available to read on the site, and the Writers Showcase includes contributions fromwriters. The site philosophy is to publish as many submissions as possible and to not presume to act as an arbiter of what is funny. Our belief is that readers, rather than editors, should decide what they like. The site therefore includes an eclectic mix of material, some by writers who have been published extensively and some by writers for whom an appearance on the Short Humour Site has marked their first publication. New contributors are always very welcome. Please see our Submission Guidelines. Five anthologies, each containing work by fifty writers from the Writers' Showcase, have been published in print. These books are called People of Few Words, People of Few Words - Volume 2, People of Few Words - Volume 3, People of Few Words - Volume 4 and People of Few Words - Volume 5. Details of all five appear on our Home Page and on the Writers' Showcase page. The Short Humour Site is not commercial and requires no membership. The site also carries no advertising other than for publications produced by the site or by contributing writers. 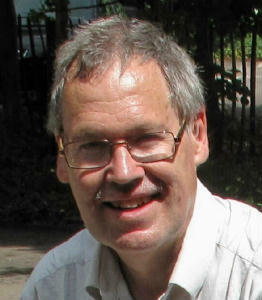 The Short Humour Site is edited by Brian Huggett. He lives with his wife and a cat called Blackie in Hampshire, England, and writes Short Humour under the pen name of Swan Morrison. Brian began to write Short Humour in 2001 when he managed The Booger Prize for Short Humour on the Scoop The Loot competition website. At that time this was the longest running, free to enter, Short Humour competition on the Internet. Since 2001, Swan Morrisons Short Humour has appeared in many magazines, both online and in print. 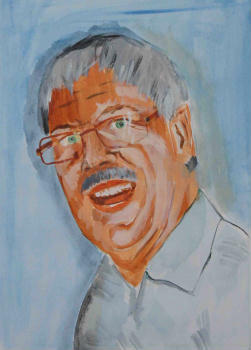 Brian has also written captions for humorous greeting cards produced by Paper House and has written more serious work. Brian has published three compilations of his own Short Humour stories (the same stories that appear on this site). Visit the Short Humour Trilogy website for free eBook downloads - all platforms. Each book in the trilogy contains one hundred stories, dialogues, poems, letters, spoof news reports, articles and songs. All are available in paperback and as free eBook downloads. Brian's first novel, Judgement Day, can be downloaded as an eBook or s a paperback from Amazon: click here. The book can also be obtained from Lulu.com as an eBook or as a paperback. Visit the Judgement Day website for eBook downloads - all platforms. 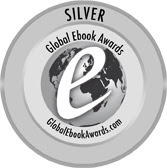 Judgement Day was the Silver Medal Winner of the 'Fiction - Humor/Comedy' Category of Dan Poynter's Global Ebook Awards - 2016. Brian is currently working on the sequel to Judgement Day called Until the End of Time. He also published a novella, Deep Black, in August 2015. Visit the Deep Black website for free eBook downloads - all platforms. All the books produced by the Short Humour Site can be purchased in paperback, and most as free eBooks, at Amazon's Swan Morrison Author Page and at Swan Morrison's/Brian Huggett's Author Spotlight at Lulu.com. Brian is also a photographer, and a selection of his favourite work can be viewed at: http://photographs-by-brian-huggett.blogspot.com. A one-off book of photographs of the magnificent displays at Keukenhof Gardens can be purchased by clicking here. A radio interview with Brian on Brighton and Hove Community Radio on Friday 24th August 2018 can be heard at: https://www.mixcloud.com/susioddball/your-voice-matters-24-august-2018-with-brian-jilliana-and-susi/. An interview with Jilliana Ranicar-Breese for her YouTube Channel can be seen at: https://www.youtube.com/watch?v=QAshQScAIJ4.